This simple, lightweight, portable test pump is now available from IPS. Driven by either a cordless, or electric drill (not included), the pump is ideal for testing commercial and domestic water systems. 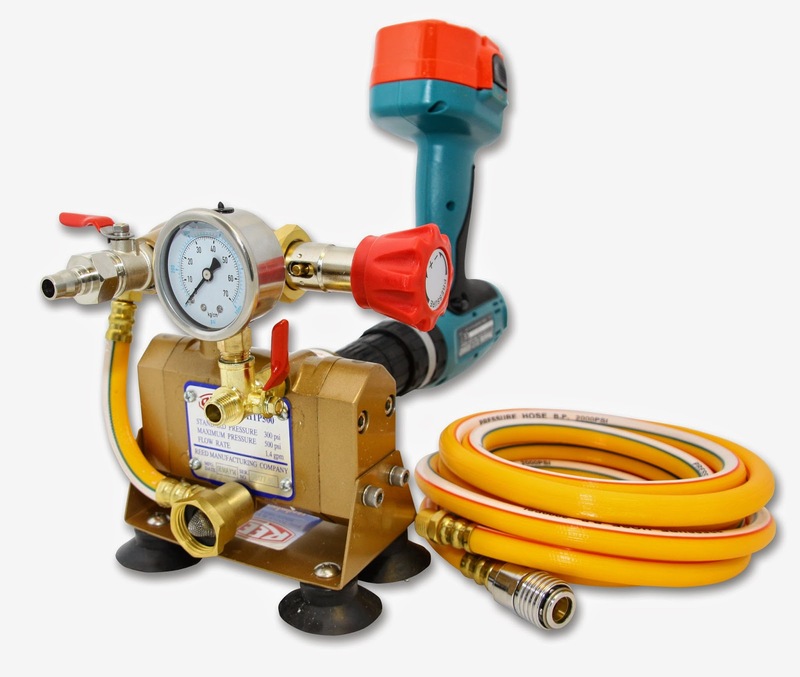 Complete with a 4.5 metre High Pressure Output Hose with quick disconnect coupling, the pumps output pressure can be adjusted from 0 – 34 bar. At only 3.9 k.g. in weight, this compact pump is easily handled and transported. If you would like further details on this, or any of our other products, please let us know.